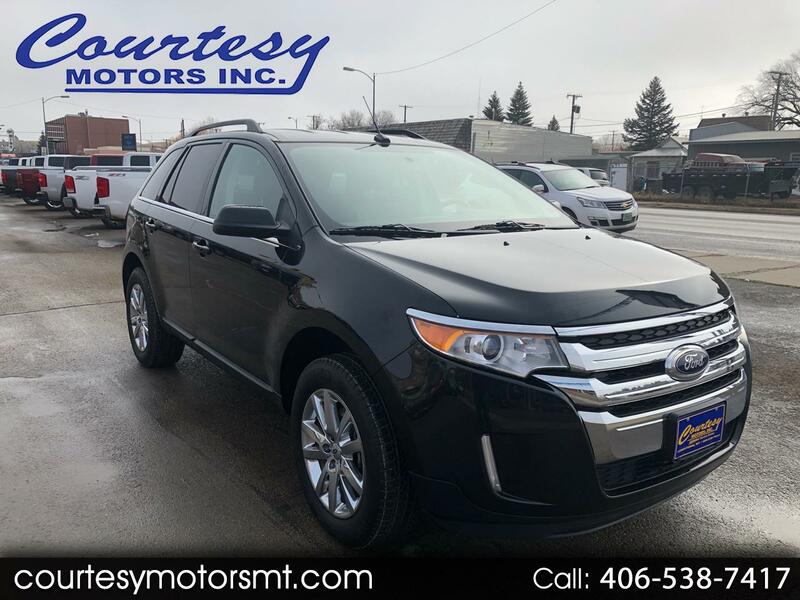 Used 2014 Ford Edge Limited AWD for Sale in Lewistown MT 59457 Courtesy Motors Inc.
Clean, One Owner Car Fax on this 2014 Ford Edge Limited AWD! Loaded with heated, memory, leather seats, Ford Sync system, power liftgate, remote start, automatic climate control, Bluetooth, and so much more! The 3.5L V6 gives you great mileage and plenty of power too! Don't miss out on this super clean 2014 Ford Edge Limited AWD!